On Tuesday, March 25th, I caught the current exhibition at the Kimbell Art Museum showcasing beautiful armor from Japan’s samurai warriors. Samurai: Armor from the Ann and Gabriel Barbier-Mueller Collection contains over 140 objects of one of the best collections in the world. This amazing collection showcases samurai armor from the twelfth century through the nineteenth century. The armor was worn by elite Japanese warriors and served both a protective, as well as, an aesthetic function. The samurai warrior class came about when it was declared that Japan would not provide an army to protect its people. Wealthy families hired samurai warriors to help protect their lands and also keep the peace during feudal Japan. Answering only to the shoguns, the samurai exercised real power and would often battle with other samurai from rival families over disputed territorial claims. Eventually, Japan became unified under one government and Japan’s feudal period was coming to an end. The samurai warrior class was no longer needed and was forbidden from carrying any weapons. The samurai armor then served as more of a status symbol to show the prestige of the individual. Close inspection of the armor reveals intricate and precious metal details—all beautifully crafted by hand—various furs, leathers, and even feathers. It’s easy to see how these armor suits could aesthetically be used for those who wanted to show their status among the other classes in Japan. The samurai armor would often have the family crest, or the symbol of the family, of which they served, intricately placed throughout their armor to help identify them. 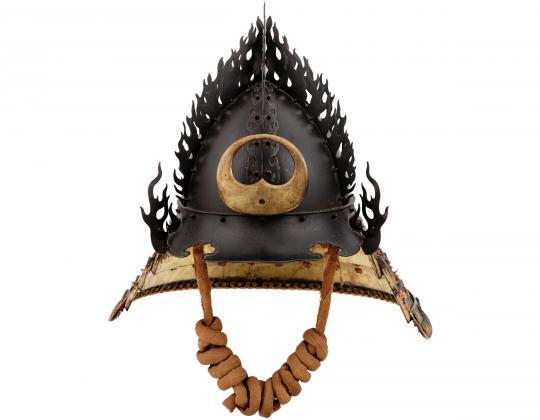 With the introduction of gun powder to the battlefield, the samurai began wearing taller ornate helmets that could be seen in the smoke filled battles by their soldiers, and would serve to help identify the commanding officers. Face guards served both as a protection from arrows, as well as, a means to intimidate enemies. 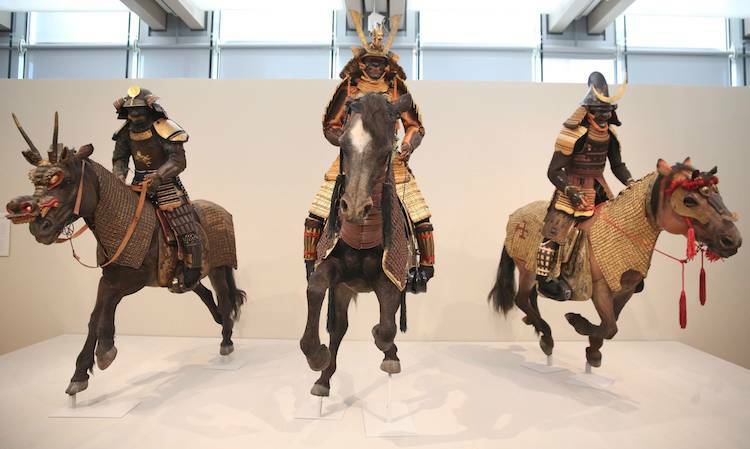 Even the horses riding into battle would wear masks both for protection and intimidation. This is an extraordinary exhibition and should not be missed. Unfortunately, photography is not allowed at the exhibition. And, I highly recommend utilizing the Acoustiguide Audio Tour—it’s three dollars for members and included in the price of admission for non-members. There’s also an informative 26 minute video, downstairs in the auditorium, that covers Japanese sword making and Japanese archery. 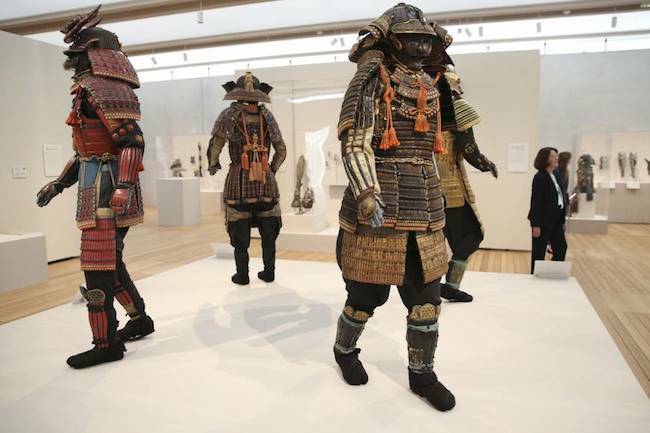 Samurai: Armor from the Ann and Gabriel Barbier-Mueller Collection runs through August 31, 2014 in the Piano Pavilion of the Kimbell art museum, so be sure to visit and view this extraordinary collection of beautifully crafted armor from Japan’s elite samurai warrior class.